Are you interested in working for one of the highest rated school districts in Washington? 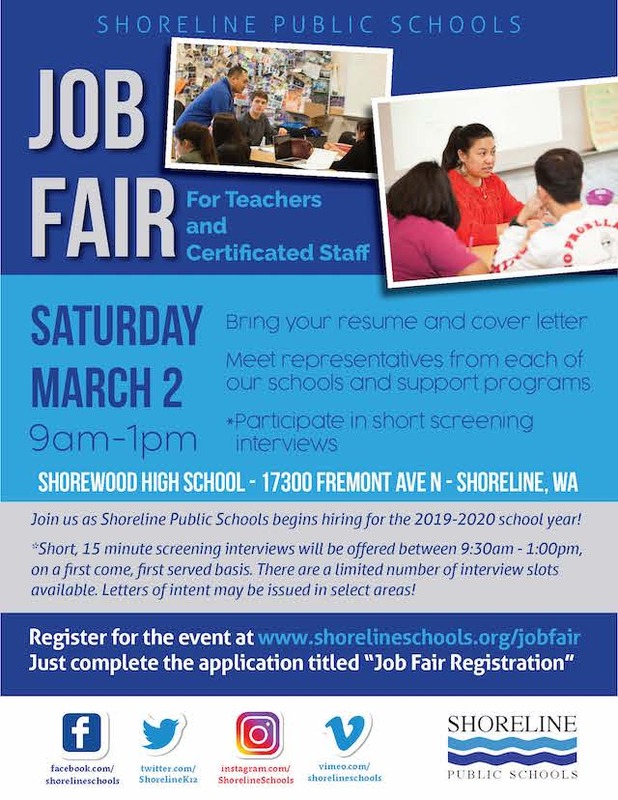 Shoreline Public Schools will be hosting a career fair for teachers and certificated staff on Saturday, March 2 from 9am-1pm at Shorewood High School, 17300 Fremont Ave N.
Representatives from each school and support program will be on hand to share information and answer questions about about Shoreline Schools. There will also be short, 15 minute screening interviews held during the event.